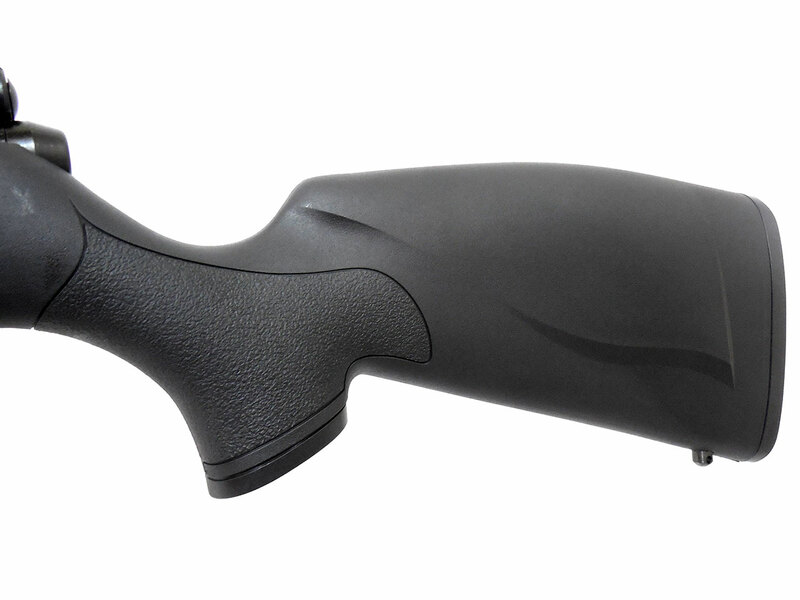 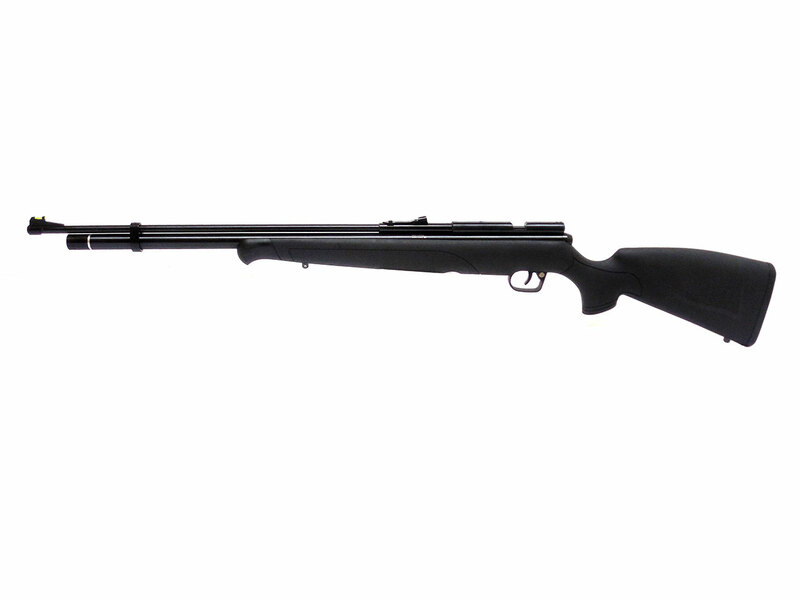 Very similar to the Benjamin Discovery, but lighter in weight with an all weather synthetic stock. 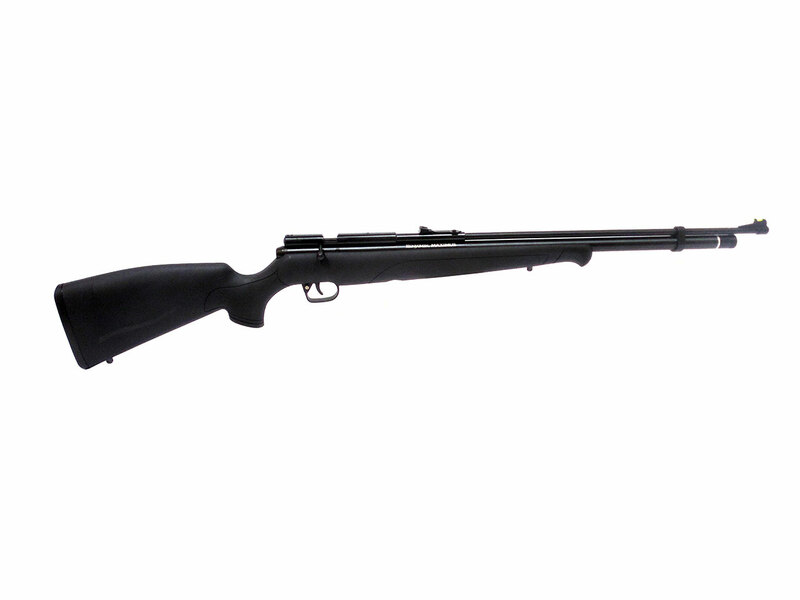 The Benjamin Maximus is a U.S. made, high performance air rifle at a PCP entry level price. 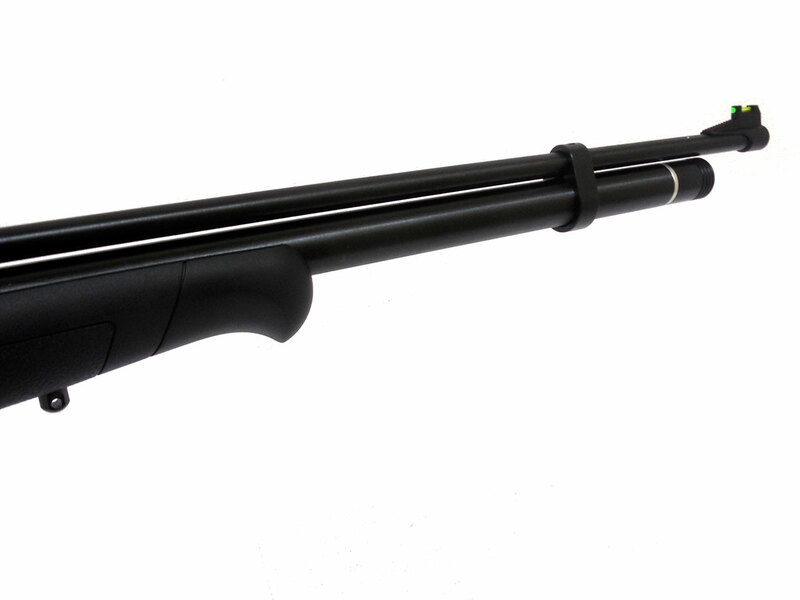 They offer as much power and better accuracy than many low to mid grade break barrels. 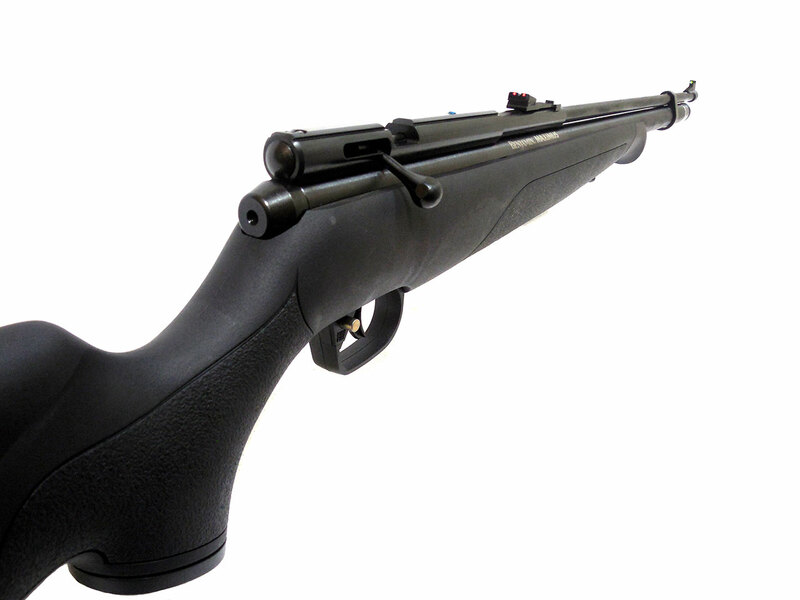 Velocity on the .177 caliber is rated at up to 1000 fps, while the .22 caliber is rated at up to 850 fps. 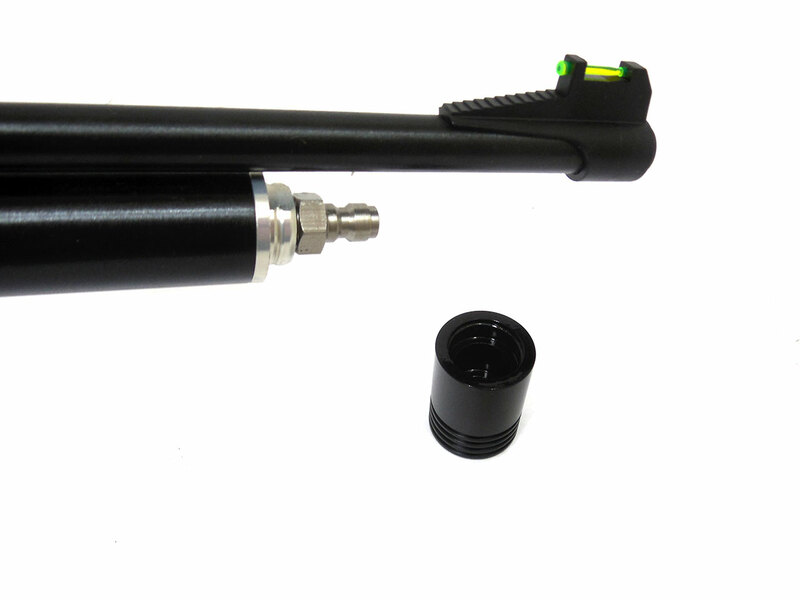 The Maximus can be charged with a hand pump which will give you up to 20 (.22 cal) to 30 (.177 cal) shots per 2000 psi fill. 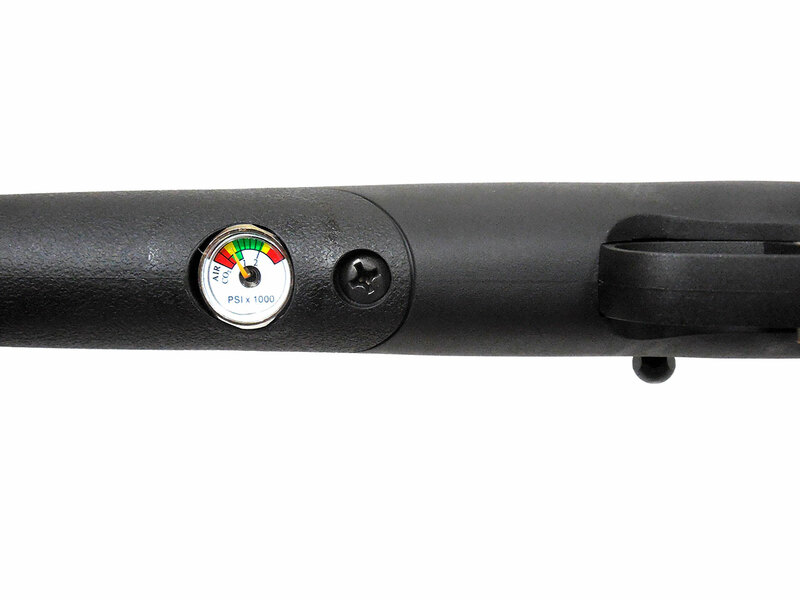 Optics include fiber optic rear and front sights, and also features 11mm dovetail scope rails machined into the metal breech if you want to mount a scope. 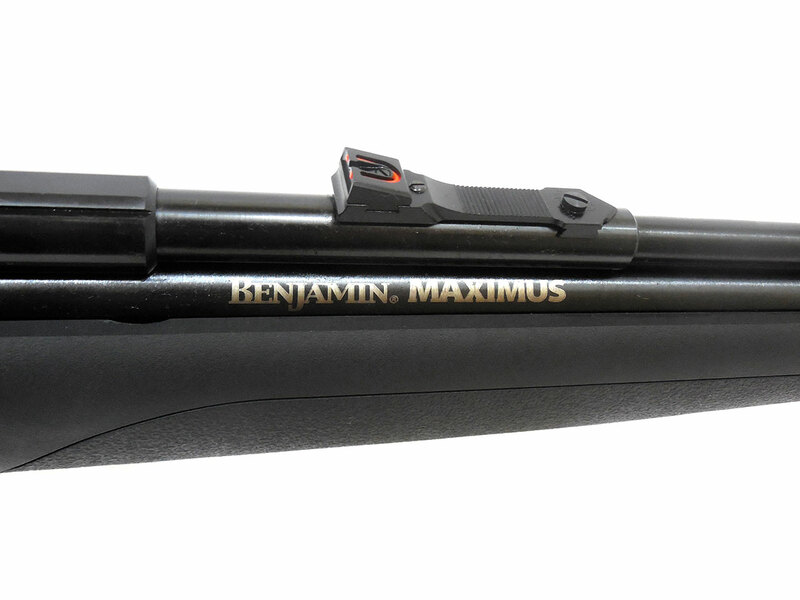 The Benjamin Maximus is an excellent choice for your first PCP if you’re looking for a low cost starter.